The elderly and disadvantaged Israelis are close to our heart. Since most of them cannot come to our Jerusalem Distribution Center for assistance and help, we go to visit them. 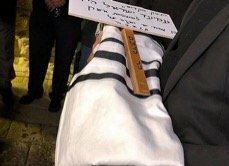 “So many Jewish people are just waiting to be visited─especially those living from day-to-day, who are barely existing because of a lack of resources in their lives. We are thankful that you have the opportunity to help us in our unique work of ministering to individual needs” (Sharon Sanders). Many lonely and poor elderly have no one to turn to in times of need. Contacting CFI has opened for them a way of practical assistance through home visits with uplifting conversations and prayers. CFI goes to where they live. Your prayers for those whom we assist are much appreciated. Pray also that our teams have the needed wisdom and guidance as they minister. “He gives strength to the weary, and to him who lacks might He increases power” (Isaiah 40:29). 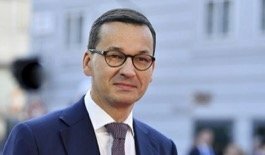 Morawiecki did not accept any generalization about his country’s involvement with the Nazis in the horrors of the Holocaust. He argued that what happened in Poland was done only by individual criminals. The tension between the two countries has been high since February 2018, when Poland passed legislation outlawing any blame on Poland for Nazi crimes against the Jews. The reasoning behind the new law is that the Poles were mere bystanders to the Nazis’ deadly mission. The statistics in the Yad VaShem Memorial Museum in Jerusalem tell about a different reality. Out of the 6.0 million Jewish victims of the Holocaust, about 3.0 million Jews were killed in Poland. The Soviet Union murdered 1.3 million Jewish men, women and children. In 2018, the attacks on Israel over the Gaza border burned tens of thousands of acres of farming land and forest, causing wide-spread smoke pollution over Israel. People on both sides of the border were killed and hurt. The conflict that was initiated and forced on the Gazans by the Hamas terrorist entity still continues with daily destruction and danger to Israel. On February 28, the United Nations Independent Commission of Inquiry claimed that there is evidence that Israel committed “war crimes against humanity” in responding to the “protests” in Gaza. The report argues that Israeli snipers targeted children, heath care workers, journalists and people with disabilities─ week after week at the “protest” sites. Why did Hamas force children, mothers and special-needs adults to the war zone? The answer is for Hamas to gain an international sympathy by their so-called harmless demonstrations. Violence erupted again at the Gaza border on May 14, 2018, due to the U.S. Embassy moved to Jerusalem. For months, groups of 10,000 to 20,000 Gazans rioted at the border, firing rockets and sending thousands of flammable devises into Israel. Spring is a time when everything comes back to life and life triumphs over death. It is a time of deliverance, when the God of Israel led His people out of Egypt, when Hama’s evil plot to eliminate all Jews was stopped. Spring is also the time when the State of Israel began its existence. On May 14, 1948, we saw the prophetic word of the Lord come to pass: “And, I will rejoice over them to do them good, and I will faithfully plant them in this land with all My heart and with all My soul” (Jeremiah 32:41). Now, however, some things come at a cost. The birth of the Jewish Nation paid for its existence with much persecution of the Jewish people, especially during their centuries in exile, concentration camps and the gas chambers. On Yom HaShoa (Holocaust Remembrance Day), we remember all those who were brutally killed. Our hearts are filled with sadness and heaviness. Only a week after that comes Yom HaAtzmaut (Independence Day), a celebration meant to be filled with joy and gladness. 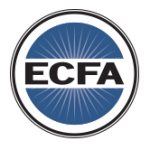 CFI has worked with and supported the Association of Concentration Camps and Ghetto Survivors for many years. They gather together for their annual meetings to celebrate life. The theme of the meeting in 2018 was “Jewish Phenomenon How the desert becomes a Flourishing Forest.” The seminar was a follow-up to over 1000 trees that were planted by the Holocaust Survivors in 2016 at a kibbutz in Negev. These trees were planted in memory of the 1.5 million children who were murdered during the Holocaust. “‘I will also plant them on their land, and they will not again be rooted out from their land,’ says the LORD your God’” (Amos 9:15, NASB). We read in 1 Kings 4:25 how Israelis in the days of King Solomon lived “in safety, every man under his vine and fig tree, from Dan even to Beersheba, all the days of Solomon.” The news today tells about a different era with terror attacks and conflicts affecting communities, and families with children. About ten years ago, we visited the community of Itamar to convey condolences for the loss of life in a terror attack just one month earlier. Arab terrorist had randomly attacked the Fogel family home, killing the parents and three of their youngest children. Two of the older children survived. The attack, that was praised in the world Arab media as a heroic operation made both of the surviving children double orphans. Losing one parent in childhood is difficult. Having both parents cone with such a gruesome way is unimaginable. For a child, the pain may never go away. If there are grandparents or other relatives, they continue parenting the orphans. Rest of the children need social services and orphanages. Since 2000, about twenty-six families have lost both parents to terror attacks in Israel, and a few more in other countries. In March 2018, fourteen (14) Israeli children become orphans in that one month alone. The victims were fathers and husbands ─all Jewish civilians killed by Palestinian terrorists. As always, the surviving terrorist and his family were rewarded by the PA from its generous international aid. Join us to bring assistance to the Jewish communities to show Christians’ care for orphans and widows. 2,108 stone-throwing incidents with 104 wounded and 1 killed. 23 stabbing incidents with 17 wounded and 4 killed. 44 shooting incidents with 17 wounded and 8 killed. 1,163 rocket and mortar incidents with 116 wounded and 1 killed. 10 vehicle attacks with 15 wounded and 2 killed. In addition, tens of thousands of acres of farming land and forest were burned, killing countless animals and causing wide-spread smoke pollution over Israel. 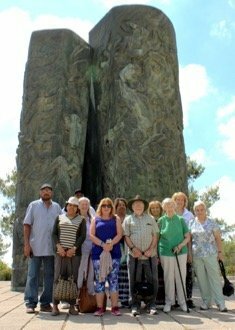 CFI’s “Under His Wings Project” cares for families traumatized by terrorist attacks in Sderot and other Jewish communities. “Pray for the peace of Jerusalem, may they prosper who love you. May peace be within your walls and prosperity within your palaces” (Psalm 122:6−7). “He who keeps you will not slumber. Behold, He who keeps Israel will neither slumber nor sleep” (Psalm 121:3−4). Israeli officials have repeatedly voiced concerns over Iran’s presence in Syria and the smuggling of weaponry to Hezbollah in Lebanon via Syria. President Reuven Rivlin warned that Iran would likely intensify its responses to Israeli strikes against its forces in Syria. “Those who trust in the LORD, are as Mount Zion, which cannot be moved, but abides forever” (Psalm 125:1). Israel’s young men and women serving in the IDF are also protecting the citizens from terror attacks and, as needed, fighting in the conflicts and wars. Their families are concerned and worry about their soldiers. Support them with your prayers. 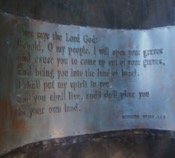 “For I will take you from the nations, gather you from all the lands, and bring you into your own land” (Ezekiel 36:24). Amen! The Jewish holiday of Shavuot or the Feast of Weeks, and also known as Pentecost, is celebrated between May 15 and June 14. Shavuot has a double significance. 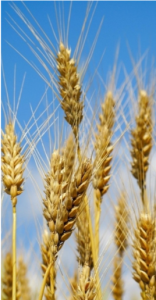 It marks the all-important wheat harvest in Israel and it commemorates the anniversary of the day when God gave the Torah to the nation of Israel assembled at Mount Sinai. Shavuot is one of the three main Biblical pilgrimage festivals along with Succoth and Pesach. According to the law, Shavuot is celebrated in Israel for one day and in the diaspora (out of Israel) for two days. In 2019, Shavuot falls on June 8−9. Traditional blintzes and other dairy meals are served. “And you shall celebrate the Feast of Weeks, that is the first fruits of the wheat harvest, and the Feast of Ingathering at the turn of the year” (Exodus 34:22). The Holocaust took the lives of most of the European Jews, including 3.0 million Polish Jews and 8 Jews from Finland. The recent studies into the years of the Holocaust prove that no country was blameless for the destruction of the European Jewry. Never again! For the Ethiopian Jews, settling in Israel has been a dramatic change in their circumstances. The younger generation has done better and with dedicated help and support, they will succeed in life. In many families, parents are unable to help their children with language and other skills as the older generation finds it difficult to learn the language. The elderly Ethiopians are called the silent generation, because they speak Amharic and are, therefore, left outside of the activities that require knowledge of the Hebrew language. We visit these families, especially the elderly who experience health problems and depression since many of them feel forgotten and isolated. CFI works with the Bnei Brak center where Ethiopians of all ages come. Children are offered after-school programs, mothers language and computer sessions, and group sessions for the elderly to meet others of their own age. Ethiopian Jews have come to stay in their ancestral homeland. Please continue praying and supporting them. We thank you and bless you! Be gracious to me, O God, be gracious to me, for my soul takes refuge in Thee (Psalm 57:1). In the eyes of the friends of Israel, the United Nations is exercising policy that is constantly against Israel but only seldom criticizing any other world country. The UN agencies do not have the supreme power in the world. However, with its prestige and long history, the member nations’ resolutions are a cause of concern. In 2018, the UN adopted 21 anti-Israel resolutions and only six resolutions for the rest of the world (Iran, Syria, North Korea, Crimea, Myanmar, and the United States─for its embargo on Cuba). In December, the United States presented a draft resolution seeking to condemn Hamas for firing rockets into Israel. It failed to be adopted as the member nations did not see rockets causing any significant danger or destruction. In the list of 21 anti-Israel resolutions, the main concern is about the well-being of the Palestinians in Israel’s “occupied Palestinian land.” Syria is mentioned, but only for the Golan Heights which the UN also claims to be occupied by Israel. The last time the UN adopted a resolution in support of Israel was in 1991 when the United States led the repeal of the “Zionism is racism” resolution under the leadership of President George H. W. Bush. It is estimated that 258 million people or 3.4 % of the world population are migrants today. On December 11, 2018, the first-ever UN member states’ conference about global migration took place in Marrakesh, hosted by the Kingdom of Morocco. World leaders from 160 countries adopted the Global Compact for Safe, Orderly and Regular Migration to better manage international migration. In mid-December, the adopted document was presented to the UN General Assembly for its endorsement. The United States did not participate in the conference or the adoption of the Global Compact. In December 2017, the Trump Administration withdrew from the negotiations, stating that multinational agreements undermine the power of individual governments to control national borders. In the light of the large riots in France, Germany and other European countries, the United States must have the rights of determining the migration policy for the safety of the American people. Thanking God for keeping Israel safe in 2018 from the region’s enemies of Syria, Iran and numerous terrorist groups (Psalm 140:12−13). Praising God for the new and promising ties between Israel and the Gulf States (Psalm 150). Proclaiming God’s promises over the Jewish people about their return from the nations (Zechariah 10:8−10). Praying for God’s blessings over the Israeli legislative elections (21st Knesset) scheduled for April. The elections will end PM Benjamin Netanyahu’s fourth term in the office (Psalm 149:1−2). Pray God’s mercy for the world nations in the UN as just in December they failed to pass a resolution to condemn Hamas attacks against Israeli civilians (Psalm 53:2−3).